Sanjeev is helping to fight breast cancer. Claire is researching kinder chemotherapy treatments. 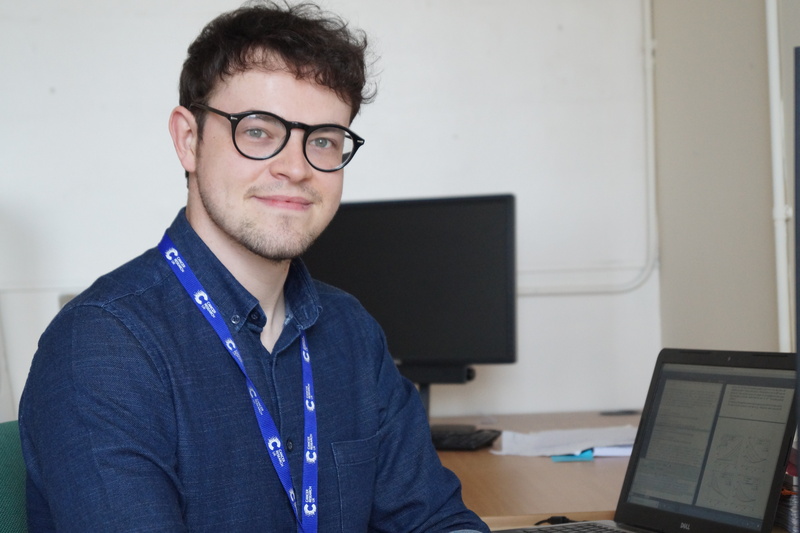 "Every day I am motivated by my father, who sadly passed away from cancer during my final year of undergraduate studies." Jon is uncovering how cancer cells move around the body. 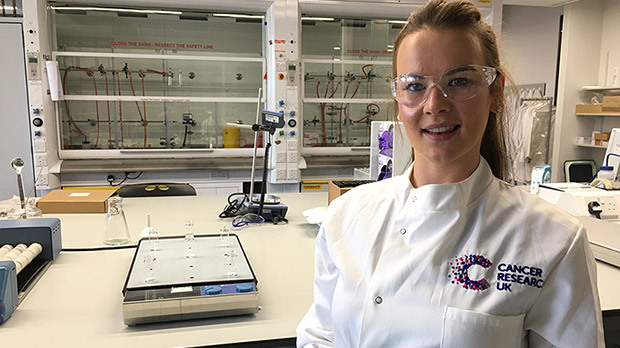 "Like so many families, my family has been affected by cancer several times and it’s this which drives me to continue with my research." With a gift of £25 a month, or a £300 single donation, you can support the next generation of scientists, driving cancer research. Your support will help beat cancer sooner. 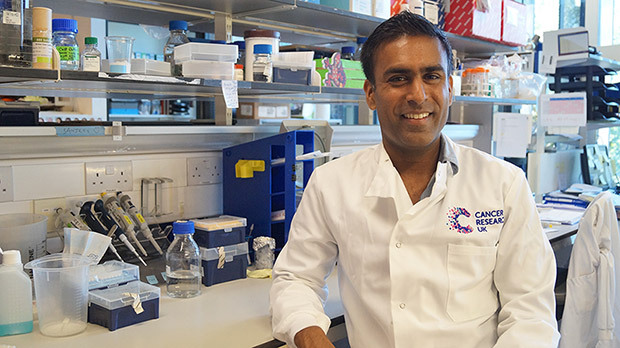 Cancer Research UK-funded PhDs attract some of the most promising Researchers in the world. From the day-to-day running of experiments in the lab to igniting the spark of an idea, PhD Researchers are a vital part of our life-saving research. You'll be driving the scienctific breakthroughs that will help beat cancer sooner by sponsoring a PhD Researcher. You can choose which of our PhD Researchers you’d like to receive updates from, depending on your interests. Donate a single gift of £300 or a regular monthly gift of £25 and fund a PhD researcher. Your gift is 100% restricted to research. It will fund the Researchers’ lab equipment and materials. You’ll get a welcome letter from your selected PhD Researcher once you’ve signed up. They’ll write to you with their progress in the fight against cancer every 6 months. As a thank you for your support, you’ll get a copy of your researcher’s own thesis once they’ve completed their PhD. I believe Lynn's work will create substantial progress in tackling cancer and save more lives. When I make a donation, it's always a personal moment when I can say my motivation is 'someone who is celebrating beating cancer'. It's my hope and wish that my small contribution can make a big difference in the search for a cure for cancer. I'm very happy to support CRUK in this endeavour. Without a doubt, my PhD at the Imperial Cancer Research Fund kick-started my career. It gave me the freedom to develop my own ideas, and the support that every fledgling scientist needs. If we don’t have the resources we can’t do any pioneering research. Funding from generous donors like you provides us with the equipment we need. I want to use my knowledge to help to beat a disease that doesn’t discriminate; cancer can affect anyone. Professor Swanton began his career as a PhD Researcher at the Cancer Research UK London Research Institute. Since then he's been the driving force behind research projects like the TRACERx clinical study. He won the biochemical Society 2016 GSK prize in recognition of research leading to new advances in medical science. He's also published over 120 scientific papers.